While the grey November is already in full swing, we had the chance to escape the cold and darkness of Berlin Winter for one night. We recently had the chance to travel with our eyes and our taste buds to one of our favorite countries to visit for holidays: Italy. 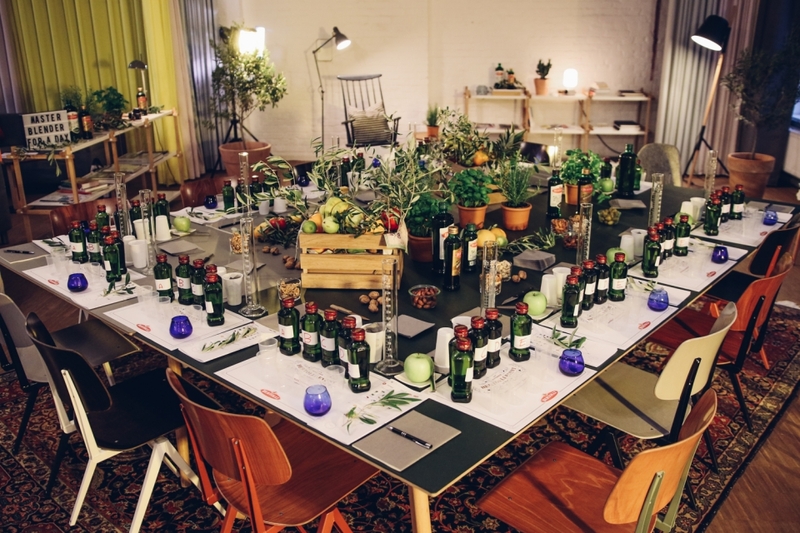 The Italian olive oil brand Bertolli invited us to take part in a workshop about Italian food culture. 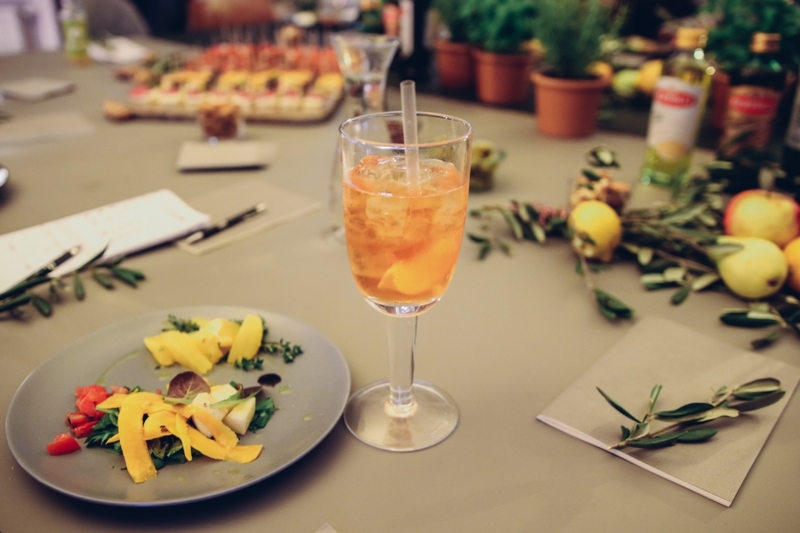 Together with 10 other media colleagues, we spend an evening with Aperol Spritz, little Italian delicacies and lots and lots and lots of different oil blends to taste. Do you know how many kinds of olives exists? More than 1000. And of course, every kind has its absolute unique flavor. 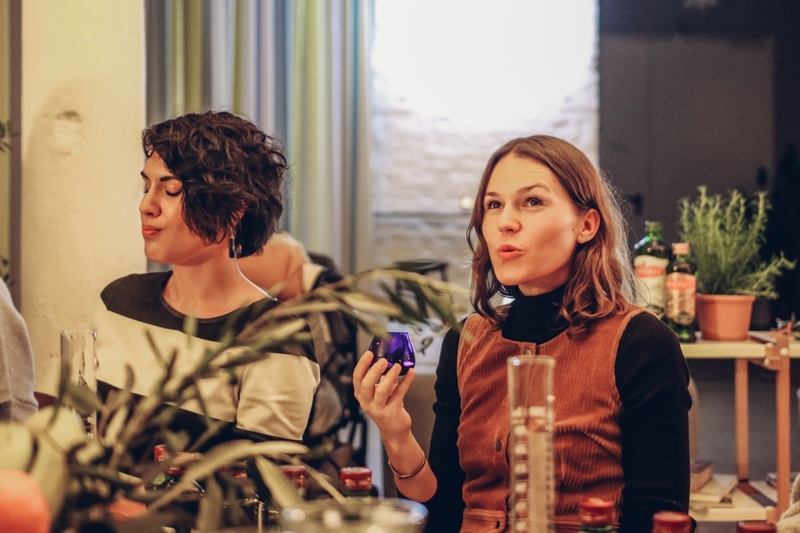 Also, there are a lot of natural impacts on the taste of the oil. 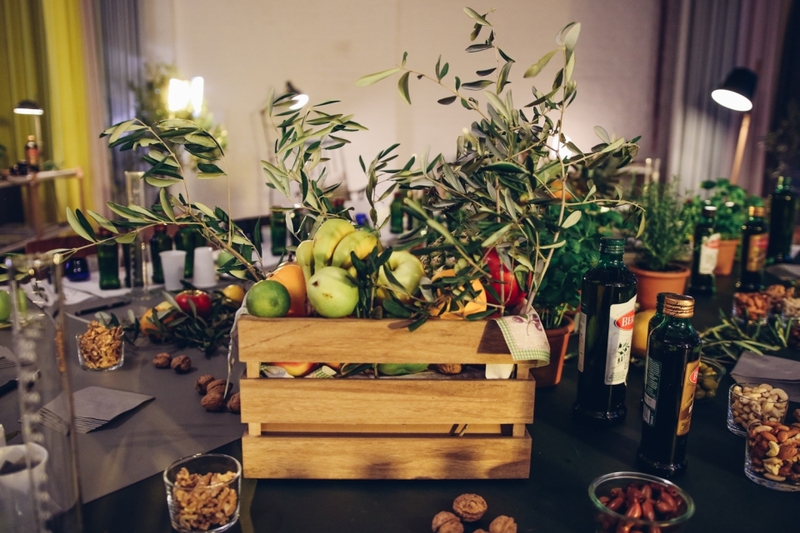 The minerals of the soil, the quantity of rain and many other aspects shape the result of the olive oil. Nearly all the olive oils you can buy are a specific blend of different kinds of olives. 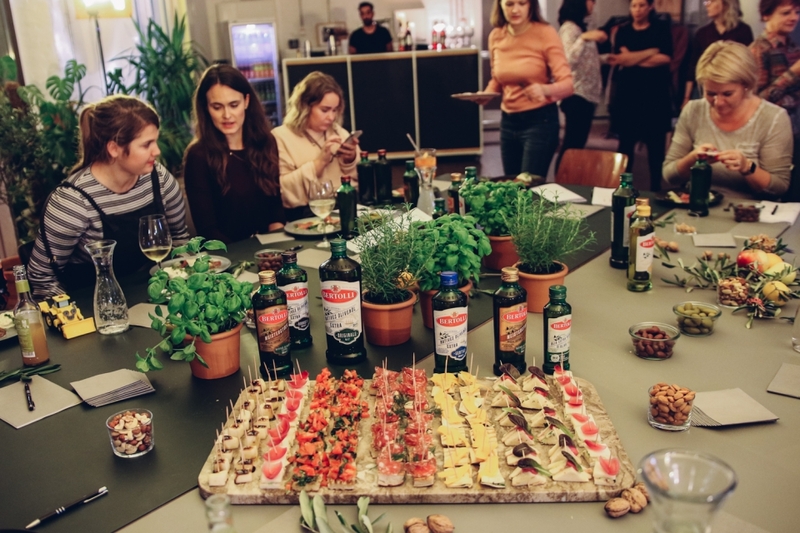 So what actually makes the taste of one product different of the other is not only the kind of olives but also the specific blend of different varieties. 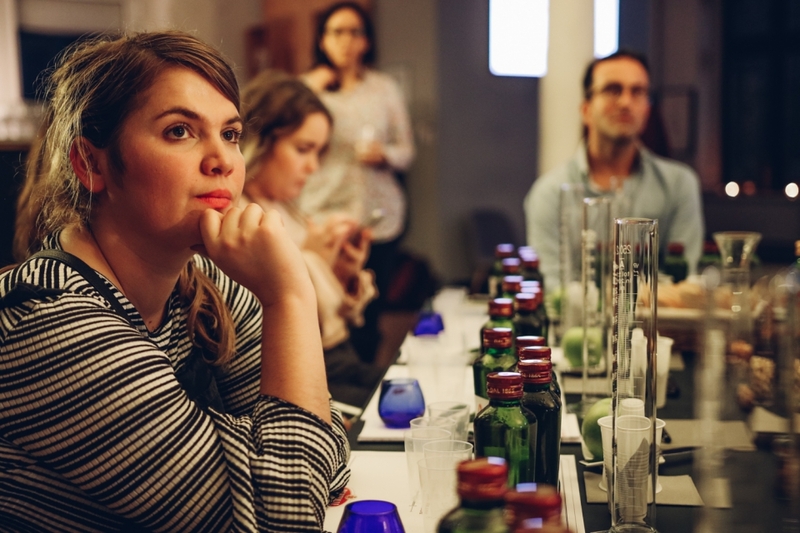 To learn how the blending process changes the taste of the olive oil we had the olive oil expert Anna Cane sitting with us explaining all about it. 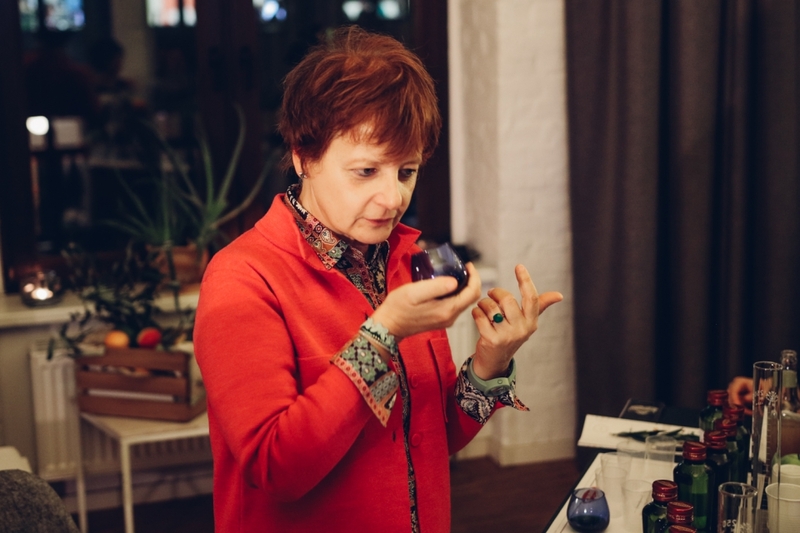 She made us try different types of oil and then mixing them together to shape with our own taste buds the perfect olive oil especially for us. 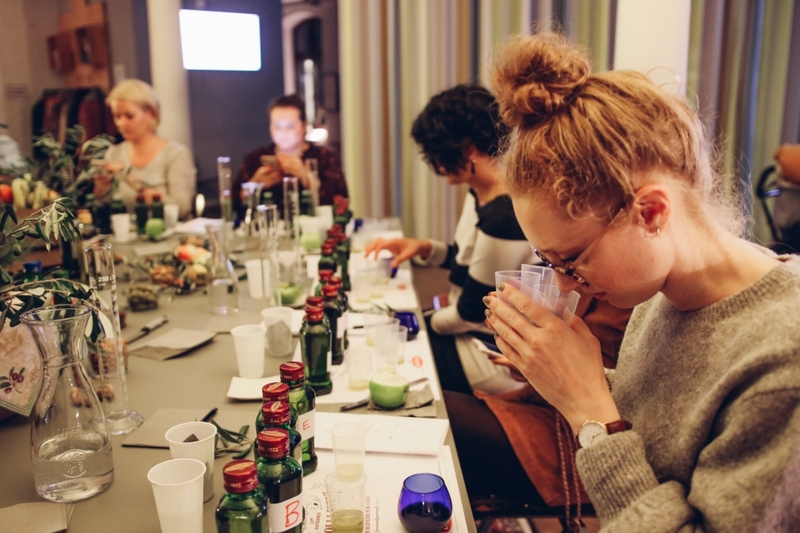 While the process of tasting oils (with a funny slurping sound) was a bit awkward at first it really helped us to concentrate on the flavor of the oil. 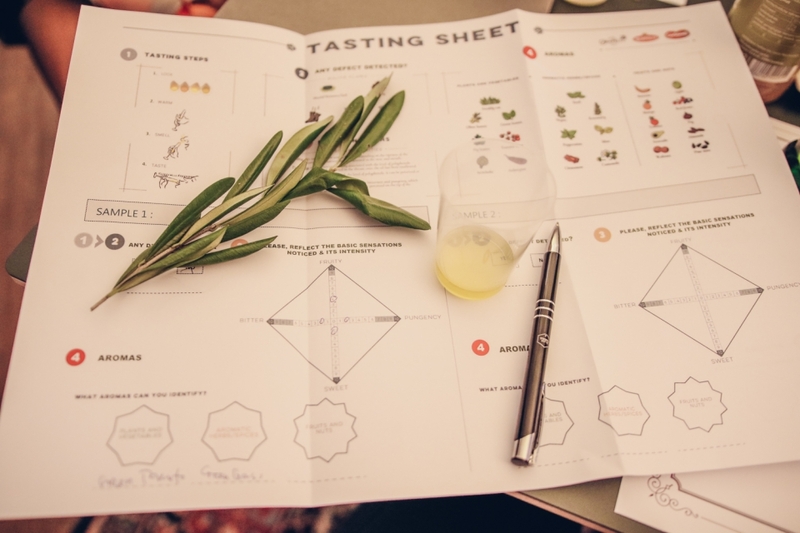 If you have never done it, we really recommend to try out an oil tasting on your next holiday in Italy. You will realize that the taste of the olive oil will shape the result of your cooking tremendously. Three things matter to the Italians the most. Number three is their mothers. Number two is their lovers. But number one is and always will be their food (which you can always share and enjoy with mothers and lovers altogether of course). With these words, the second part of the workshop starts. Our workshop leader is Kappa from the famous Bar Milano at Brunnenstraße. 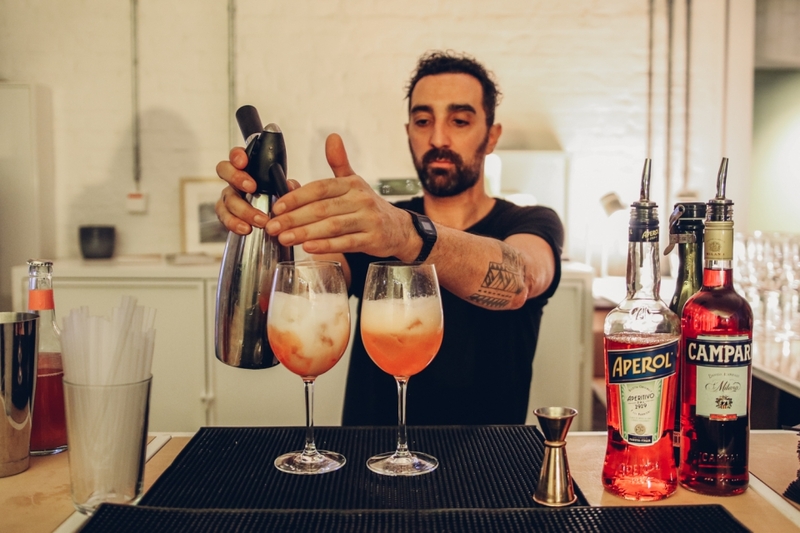 He and his team are not only really good at making delicious drinks like Aperol Spritz and Negroni. They really know a lot about Italian Food culture and especially about this one food tradition from Milan: The Aperitivo. 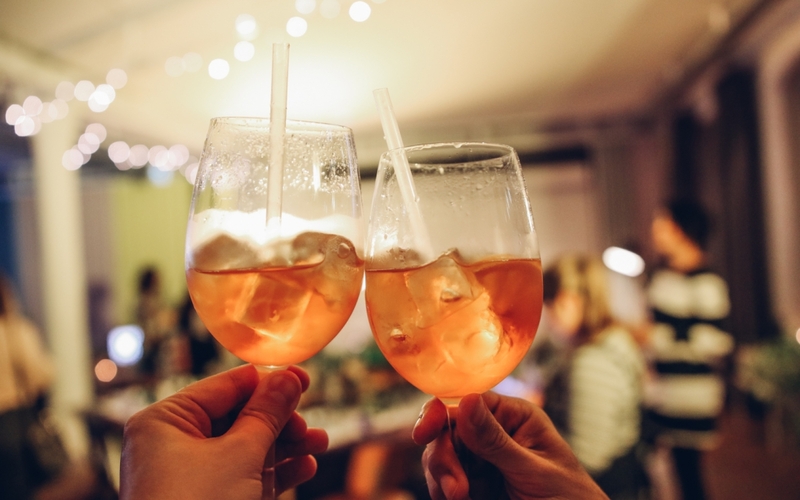 Aperitivo is a kind of pre-dinner gathering where you share some snacks and a casual drink before starting your long Italian dinner. I always loved walking around Milan with Frank and other friends and experience this way of living that is so relaxed and unpretentious. 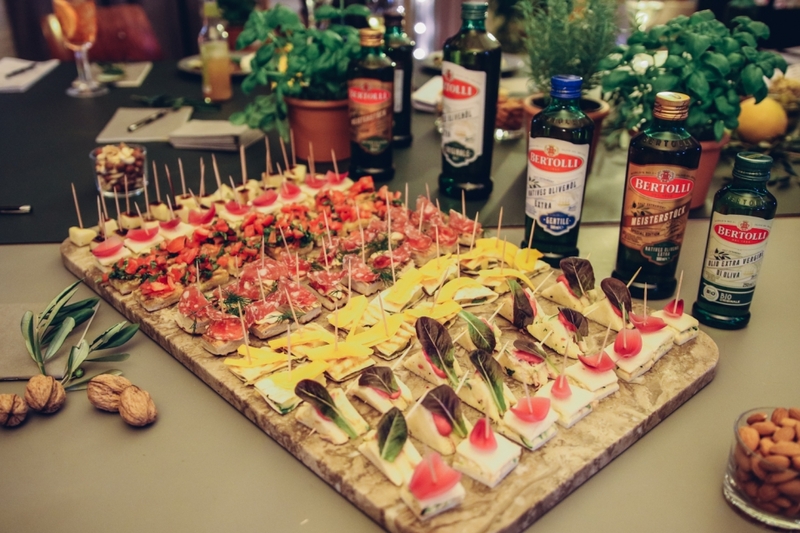 Kappa showed us some typical Aperitivo dishes like Piadina, Bruschetta or just how to serve a variety of fresh cold cuts and cheeses. 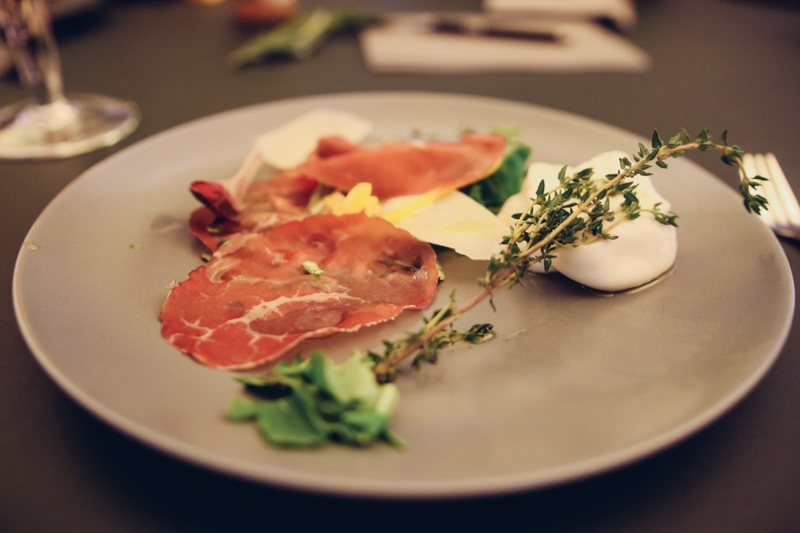 We had a chance to taste a fresh Mozzarella di Buffala that tasted just sublime. 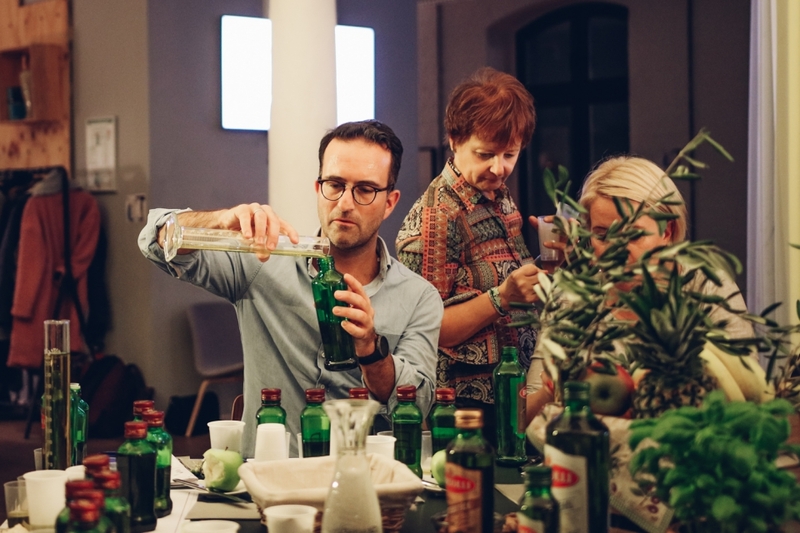 If you want to make your own Aperitivo at home you just need to make sure to buy high-quality ingredients and to bring some love for the food and for your friends. The rest will follow. I am sure of it. 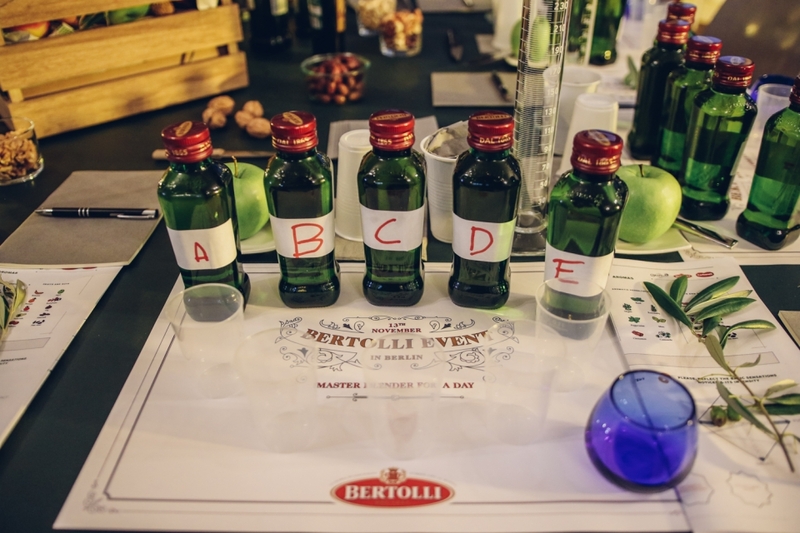 We thank Bertolli for inviting us to participate in this unique workshop. 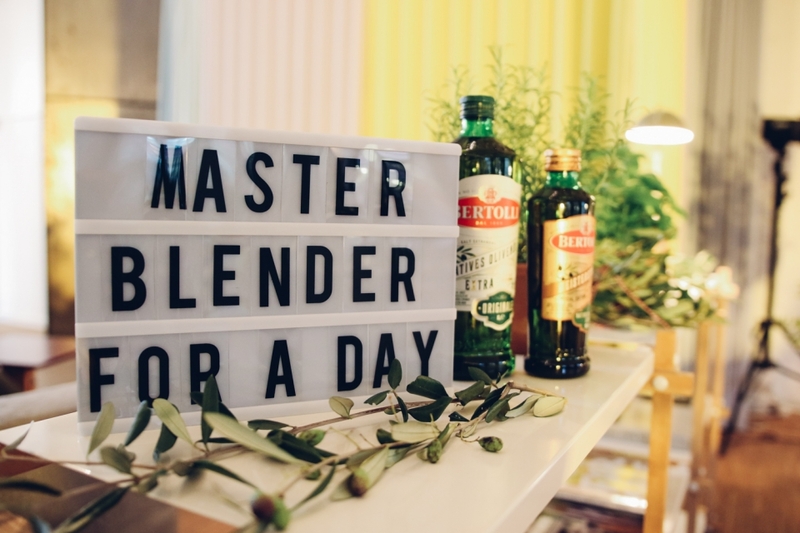 This article is a paid collaboration with Bertolli.